In a society where human beings spend long periods in closed buildings surrounded by technology, the Spa next to the Ocean in Rancho San Lucas is a space to enjoy and feel integrated into nature, through the five sensory senses. The design is fluid with totally open spaces to enjoy the natural light in the relaxation lounge chairs, jacuzzi and waiting room. A boutique spa that delights the five senses. It manages to maintain the balance between luxury and the needs of an integrated operation with the environment. The five cabins have a full view of the Pacific Ocean, privacy is maintained, but at the same time contact with nature is achieved. The sound of the fountains and waves will relax the ear; your eyes will be dazzled by the panorama of the immense sea. In the same way, relaxation areas, dressing rooms, showers, and Jacuzzi are integrated highlighting the flora of the place, with cardones and palo blanco. 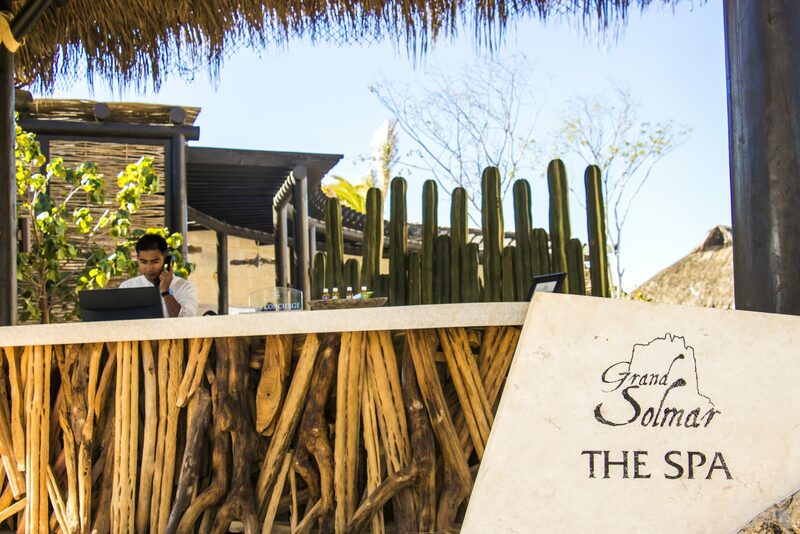 Enjoy exclusive experiences that fuse massages, facials and body wraps, with the distinctive and warm service of Grand Solmar in Rancho San Lucas. Finish with a culinary experience on the private terrace of your cabin facing the ocean.